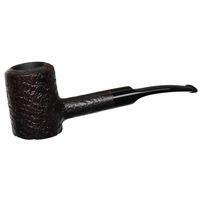 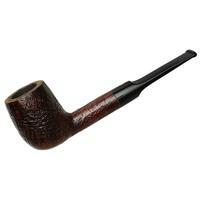 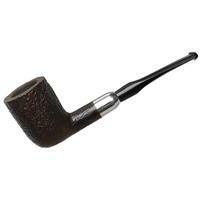 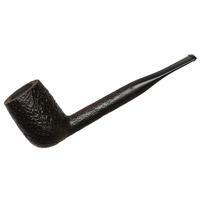 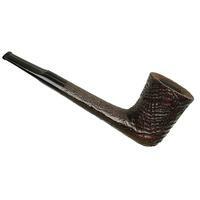 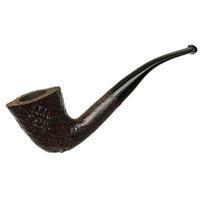 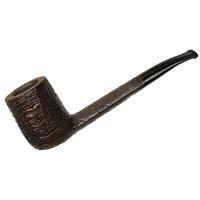 The "915 KS" is an interesting shape from Savinelli as it isn't even listed on the Italian marque's modern shape chart. 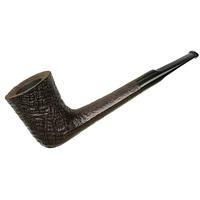 Merging a variety of styles, it features a cinched Dublin/Hourglass bowl on the end of a Lumberman shank and stem combination. 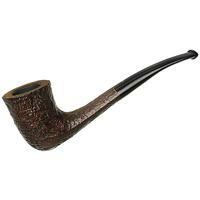 Though unique of design, it fits right into Savinelli's conventionally Italian neoclassic proportions, with the bowl trumpeting boldly above the trim, tapering shank and stem out back. 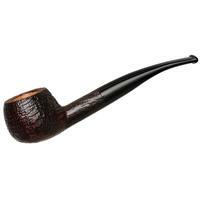 It takes well to the sable sandblast of the Punto Oro series, boasting a traditional aesthetic in contrast to its atypical shaping. 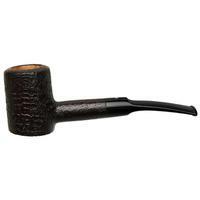 Chamber Depth: 1.72 in./43.69 mm.